I hope you’re enjoying our “See the USA” series. Hopefully you caught the best of Indianapolis last week and Honolulu the week before. We’re continuing on alphabetically with letter J and Jupiter, Florida. 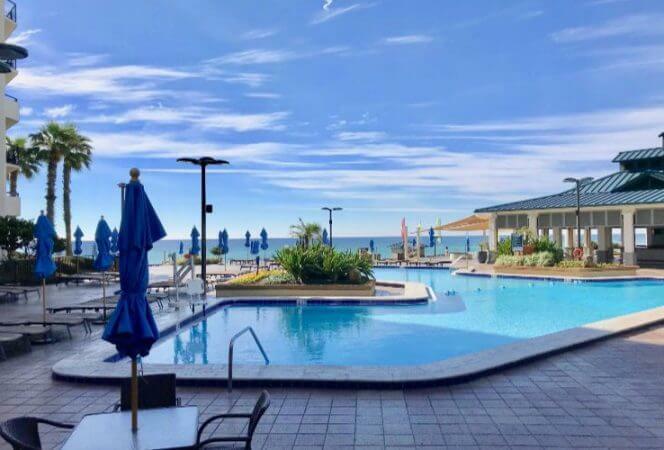 I am excited to have the lovely Jen Reyneri, founder of the Faith & Family Travel Community and Word Traveling.com sharing the top 5 family friendly things to do in Jupiter, Florida. I’ve never been, but Jen makes me want to visit! Though my husband and I have lived around the globe, the truth is, there’s really no place like our backyard home paradise of Jupiter, Florida. The vibrancy of our community only reflects God’s glory in the amazing aquamarine color of our waters. These are our favorite spots, where we take our visiting friends and where we go to feel like travelers at home. I hope you find some places to explore and enjoy with your family in the Jupiter, Florida and surrounding areas like Martin County, too. And, hey, if we’re not off traveling, the kids and I would be happy to meet you at one of our favorite spots. Reach out, and perhaps we’ll enjoy the palm trees and ocean breeze while the kids play at the parks! Florida’s Lighthouses are among the most treasured in the nation. An actively lit landmark which can be seen from 24 miles away to aid boater’s navigation, our Jupiter Lighthouse is certainly a find! Standing at 156 feet (108’ tower on a 48’ hill) with 105 cast iron steps in all it’s muted-red splendor since 1860, Jupiter Inlet Lighthouse and Museum offers climbing tours for children 48″ and taller. Information and exhibits are in the waterfront History Museum located in the adjacent and restored WWII Naval housing quarters building. There is also a small beach and park along the inlet where I still remember dip-netting and discovering sea cucumbers, horseshoe crabs and more as an elementary student. The views from the top are stunning! While this attraction is just south of Jupiter in the neighboring town of Juno Beach, it’s a must see. The “turtle museum” as we fondly call one of our world’s favorite spots, has a simple mission: “To promote conservation of ocean ecosystems with a special focus on threatened and endangered sea turtles.” We always leave Loggerhead excited after seeing the fantastic work put into rehabilitating threatened sea turtles who have come into various forms of trouble offshore, and are brought here to an incredible educational facility. Check the calendars and the webcams, and you may even be lucky enough to watch a sea turtle release or go on a turtle walk to see a hatching! 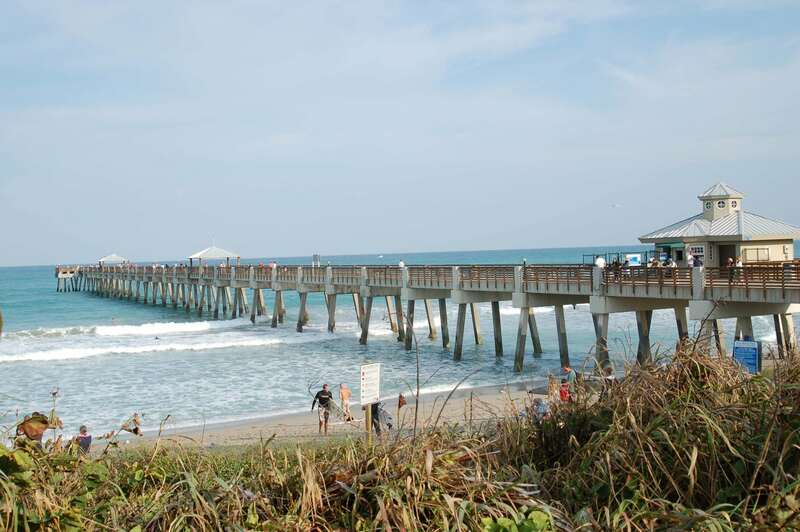 In addition to the turtles, you’ll love the play area, the educational eco-system aquariums, and the Juno Beach pier, just across the street. Spend an hour or a day, and make sure you bring some money to spend in the fabulous gift shop, full of local art! Admission is by donation. This gem of a beach park, though hidden from tourists, is a well known treasure among locals. No wonder it won a national award! It’s perfect views overlook the lighthouse and the boats coming in and out of the inlet. Your family will love wading, swimming, snorkeling in the lagoon, kayaking, fishing, playing on the playground, or utilizing the pavilions for a BBQ. Visit on a Tuesday or Thursday morning and enhance your beach day with a free history lesson at the Dubois Pioneer home, one of the only remaining historic homesteads in northern Palm Beach County. Just make sure to take the history tour first, so you aren’t trampling all the beach sand and wet suits inside! With their rehabilitation programs and educational, hands-on encounters, Busch Wildlife is a favorite of locals for their incredible wildlife, up close and personal. After a visit with our Cub Scout pack and learning about their animal rehab programs, we rescued a hurt frog and delivered it to Busch for care. Have you ever met an opossum up close? You can. Florida black bear? Yep. Panther, jaguar, otter, fox, bobcat, and more incredible exotic animals are all living here, in wonderful natural habitats, making their way back to the wild or thriving after an unfortunate incident. Ever wondered the difference between an alligator and a crocodile? Check them out side by side in person. Too many birds to list including falcon, osprey, noisy water fowl, owls, and even bald eagles all roost and take flight in aviaries, right here in Jupiter. Funded solely by donations, they really are impacting the environment and will certainly impact you! Admission is by donation. 5. Get on the water. 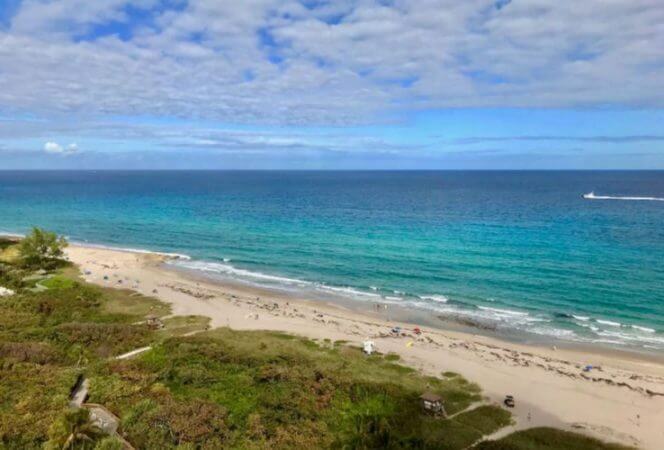 Jupiter is well known for its proximity to the Atlantic gulf stream, which sends the most gorgeous hues of crystal clear aquamarine waters offshore and through our waterways. Our sand bars are hopping with activity, and our waters are bursting with sea life from porpoise to sea turtles, manatees, stingrays, tropical fish, and more! A visit to Jupiter wouldn’t be complete without some time living the “salt life.” And, there’s a way for everyone. Launch your kayak at Sawfish Bay Park and paddle over to the new island preserve at Fullerton Island. 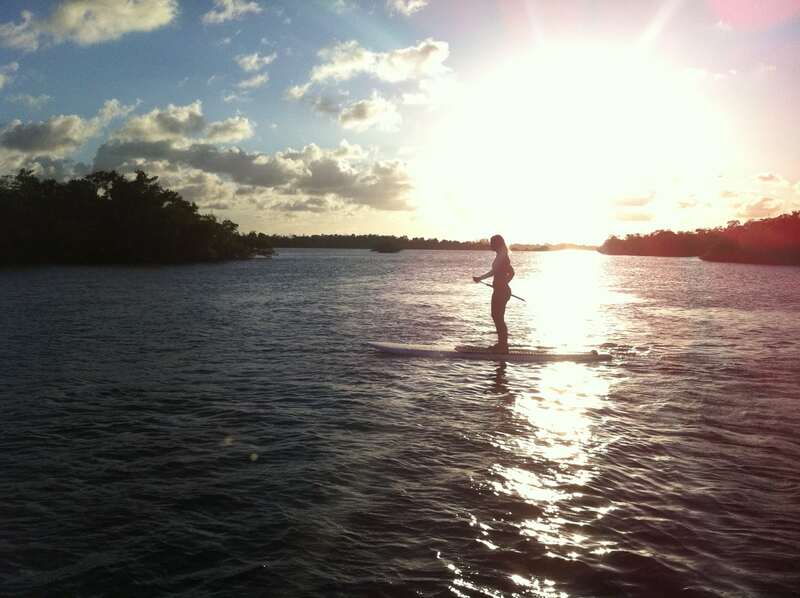 Give a shot on the SUP, with fitness instructor Tash, and maybe even try some SUP yoga. Try surfing with Aloha Surf School. Kiteboard or wakeboard with Jupiter Kiteboarding. Rent a boat or a jet ski with Jupiter Inlet Boat Rentals, or just take a leisurely ride on the Manatee Queen and learn a little history and get a sneak peek of the rich and famous lifestyle on Jupiter Island. Whichever way you choose, make sure you leave Jupiter with salt in your hair and sand in your toes. 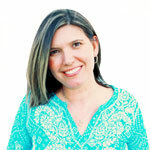 Jen is the founder of the faith and family travel community, WordTraveling.com. Based in South Florida, you’ll most often find “Team Reyneri” world-schooling and exploring God’s amazing creation on the road. Follow their ed-ventures online!